Contact Us For Your FREE In-Home Consultation – Selling your home fast has never been easier. Simply call us at Call Us: 413-248-SELL(7355), or merely fill out our short form on-line, and one of our professional home buying consultants will promptly contact you to schedule your FREE, no-obligation in-home consultation. We View Your Home – One of our professional and friendly consultants will meet with you to view your Springfield home at a time that’s convenient for you. Our home evaluation process is easy, thorough and painless, and it will only take about 45 minutes to complete. Don’t worry if your home isn’t in perfect shape, or if it’s a complete mess. It doesn’t and won’t matter because we buy homes in Springfield and throughout the Hampden and Hampshire County area and in any condition. Get A Generous Top Dollar Offer – Sell your Springfield house fast and get a fair all cash offer price for it too. We take the time to sit down with you and go over our offer with you. Our process is really easy to understand. Many Springfield homeowners are amazed at our cash offers and how quickly we can close. When considering all the time saved it’s an “No-Brainer” to sell your house to us versus selling to a real estate agent. You will NEVER be asked to make any repairs to your home and you NEVER have to worry about any fees or commissions because there are none. We Set Up The Closing Date – Once you accept our offer to buy your home, you will receive all copies of the paperwork right there on the spot and we will securely close the transaction to buy your house in usually 7-14 days or on a time that is convenient for you. Collect Your Proceeds – It’s time to get paid. Finally…all that stress is over! You successfully sold your Springfield home quickly and walked away smiling. Need To Sell Quickly For Cash In Springfield? Springfield area home owners work with us for many reasons including convenience, speed and less hassle than the traditional “list it with an agent” route. 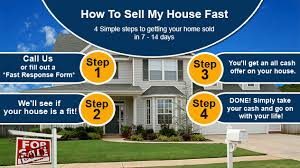 For more information on how you can sell your house quickly for cash in Springfield, call us today at 413-248-SELL(7355) and one of our local representatives will assist you with a cash offer at hand or you can simply fill out our online form and we shall get back to you promptly.